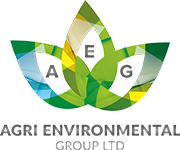 Agri Environmental works in a range of industries to design, implement and operate liquid handling systems. install lagoons, lagoon liners, floating covers, satellite storage tanks, fixed storage tanks and Geo-membrane domes. Using the latest technology from industry leaders we provide the equipment you need to pump, agitate, separate and spread your end product. These are cost-effective, safe, and environmental friendly. Environmental planning and Health & Safety regulations about how waste needs to be handled and disposed of have become ever tighter over the years. 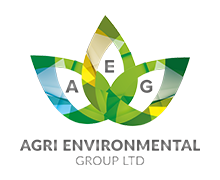 With Agri Environmental Group’s specialist knowledge and the right equipment, managing liquid waste safely and efficiently shouldn’t be a burden. It can even be a business opportunity. We specialise in helping farms and businesses to manage bulk liquid waste cost-effectively and safely. A Big Thanks to the agri team, really professional and a great service. BULK LIQUID WASTE – HEADACHE OR OPPORTUNITY? Environmental, planning and health and safety regulations about how waste needs to be handled and disposed have become ever tighter over the years. Agri-Environmental specialist knowledge and the right equipment, managing liquid waste safely and efficiently shouldn’t be a burden. It can even be a business opportunity. We specialises in helping farms and businesses to manage bulk liquid waste cost-effectively and safely.